We had a recent stay at Center Parcs in Sherwood and visited their onsite shop for snacks. People say it is very expensive in the shop but the prices were actually okay, perhaps not the best bargains but not so expensive that we felt the need to go off site. They had a good range of products too. As an example we found theses interesting “crisps” in there. We brought them back home with us and tried them with our lunch. 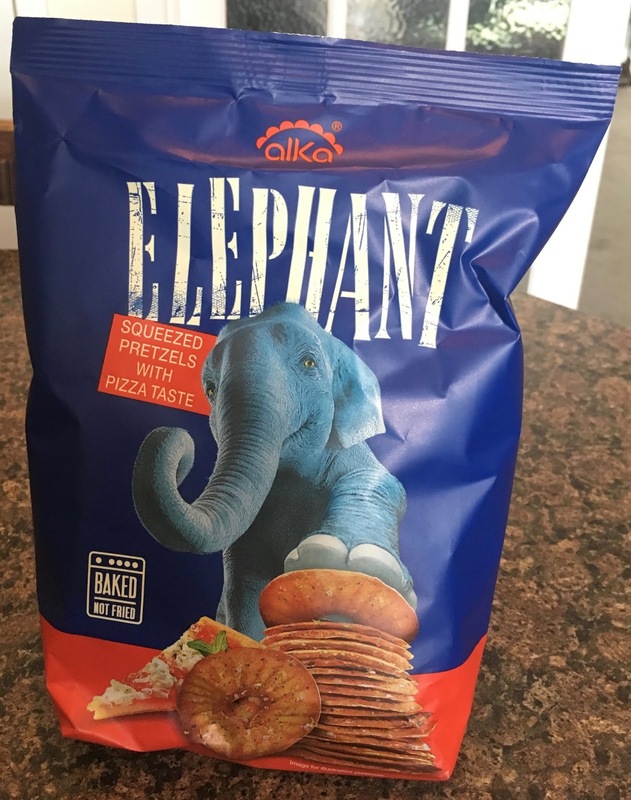 These strange looking snacks are described as Squeezed Pretzels with Pizza Taste and are made by a company called Elephant. Presumably inspire by an elephant standing on a pretzel? 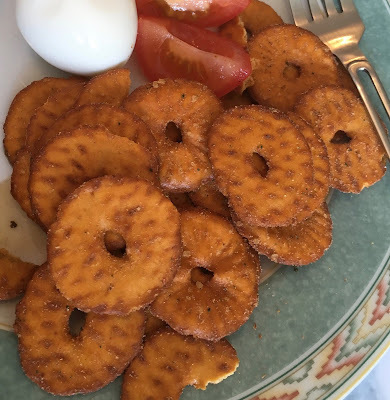 The Elephant Squeezed Pretzels are flat discs of pretzel, with a small hole in the middle. The back of the pack says they can also be eaten with cream cheese, but we had them as they were from the bag. I liked the texture of these pretzel crisps, they are crunchy but the pretzel makes them feel substantial and you don’t need to eat too many to feel full. You could taste the pretzel and the bread like flavour was a nice base for the flavouring. The pizza seasoning worked a treat, there was a lovely hit of tomato, and a nice mix of Italian herbs like basil and oregano. They were very moreish and I honestly think it would be a shame to cover them in cream cheese as the hold up so well on their own. Now I just need to work out who else stocks these Elephant Squeezed Pretzels, so we can try out some of their other flavours.